The Mando Method Podcast co-hosts Armand Rosamilia and Chuck Buda both have birthdays this week, book-ending Thanksgiving like a Mando Method sandwich. 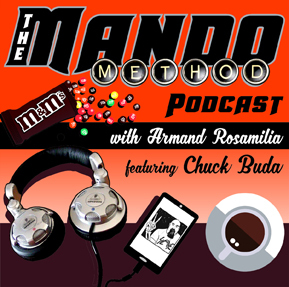 Another episode where The Mando Method Podcast co-hosts Armand Rosamilia and Chuck Buda go through Chuck's mailbag and find a gem of a question for them to answer. On this week's stellar episode, The Mando Method Podcast co-hosts Armand Rosamilia and Chuck Buda dive deep into Chuck's full mailbag and answer listener questions.